From a desperately poor village in northeast China, at age eleven, Li Cunxin was chosen by Madame Mao's cultural delegates to be taken from his rural home and brought to Beijing, where he would study ballet. In 1979, the young dancer arrived in Texas as part of a cultural exchange, only to fall in love with America-and with an American woman. Two years later, through a series of events worthy of the most exciting cloak-and-dagger fiction, he defected to the United States, where he quickly became known as one of the greatest ballet dancers in the world. This is his story, told in his own inimitable voice. Australian Ballet. In 1987 he married again to Australian dancer Mary McKendry. They have three children together. 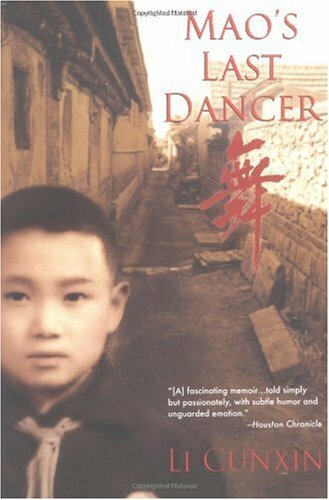 In 2003 Li published his autobiography, Mao's Last Dancer. The book has become a feature film with the same title. It will be released in 2010.